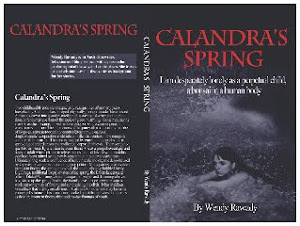 Calandra's Spring book: Travel and write about it. I have been a reader of Lonely Planet and other guide books for decades and love them all. I was kind of shocked, though, when a friend who was a writer for (NOT Lonely Planet) a well-known guide (and note, this is pre-internet) told me that he constantly wrote about places he had never been. He wrote some florid prose about New Guinea for a glossy mag and that really cheesed me off as I had been there years ago and the place was poles apart from any of his descriptions. If you are a budding travel writer, you need to find a truthful voice for depicting your story. We recently were in the Czech Republic and I could slam that place in my writing if I really wanted to. We had a less than fabulous experience and the food was not good. Hotwire was a complete fail for our booking and we would have had a miserable time had it not been for the amazing opera house and theatres in Prague and the fact that we laughed every day (at not with the people for the most part). Get out into the suburbs and life is a long way from the Prague Disneyland. However, I would never tell anyone not to go. but DO validate your ticket on the buses immediately REGARDLESS of what you may read or be told. We didn't and were heavily fined. Innocent. We had paid and were leaving the next day. As well, don't buy a ticket if you are over 70 as you can travel free! Travel books need to contain lots of snippets of info like this but in bullet points so that they are easy to scan by the stressed and disoriented traveller. Also, maps need to contain the suburbs in order to cater for Hotwire and their strange definition of what the centre of the city really is! I love travel almost more than anything as long as I have access to computers, my iPod and a clean place to sleep. Not fond of back-packing these days. Though it did give me a chance meeting with Jimi Hendrix in Paris, but, as a classical music nerd, I was not that impressed at the time at this really charming guy who came to meet his drug pusher at my backpackers' hotel. But that's another story.